made by July 21st for travel that is completed by September 30th! Find out more here. 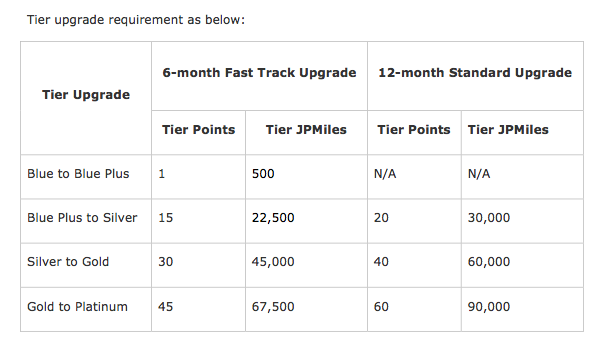 Just one booking with the 1 Tier Point will push you up to Blue Plus status with Jet Airways which is virtually the same as the base blue level other than them awarding you 750 bonus miles for achieving the Blue Plus level.